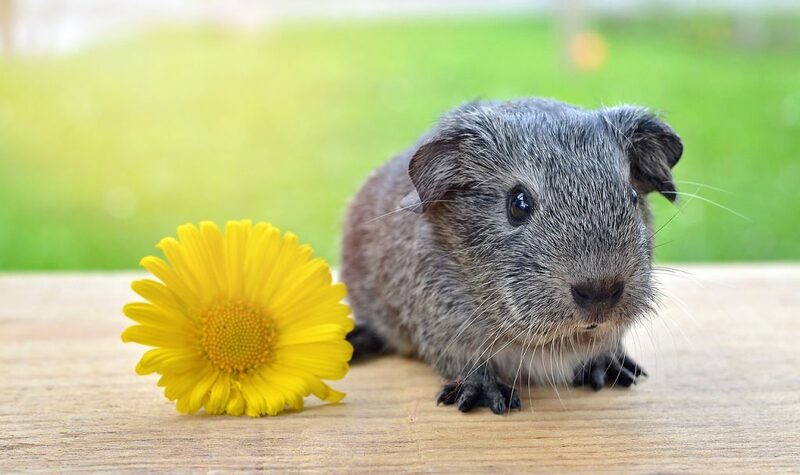 With their adorable looks and mild temperament, guinea pigs make for amazing pets to have around in your home and their popularity among many families stands as proof for that. They’re very social creatures and almost never bite. But no matter how perfect they are, they still need care so learning the basics of guinea pig care is the least you could do. 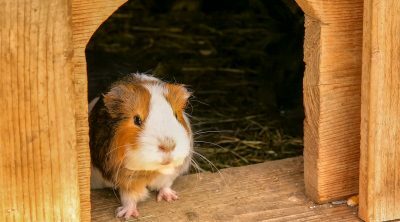 As with all pets, guinea pigs have their requirements in terms of size and type of cage, the food they require for a healthy diet and the basic grooming you can do. 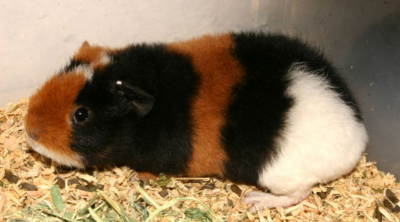 Guinea pigs are social creatures and make great pets for adults and kids alike. They also live quite a long time, close to ten years and come in many ‘flavors’. Given their lifespan, one must think of caring for a guinea pig as a long term commitment. So the first thing you must do is to choose the breed of guinea pig you want. Different breeds come in different hair coat colors and patterns, and that alone can be an important point in your decision. Some have short hair, others long, and there are even species without hair at all. 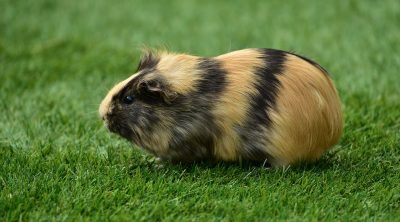 While it doesn’t seem to, the hair coat your guinea pig has matters when it comes to grooming or cleaning after him. 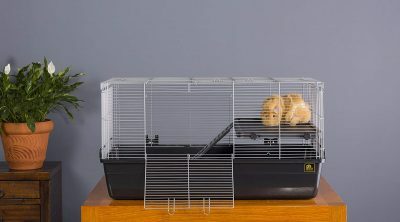 Since they’re social creatures, guinea pigs need quite a lot of space to run around, so when choosing a guinea pig cage, you should look for some specific technical details like size, type and bedding. Larger cages are recommended for a happy guinea pig. Also, keep in mind that if you got him a cage, that doesn’t necessarily mean that he’ll spend the rest of his life inside it. Leaving him roam around your house freely from time to time is an important detail. 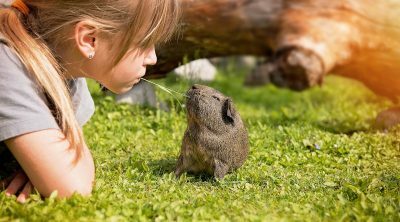 Guinea pigs have a specific diet when living into the wild, so you should try to get as close as possible to their natural diet if you want your guinea pig pet to be as happy and healthy as possible. 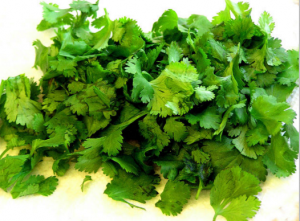 Make sure you give him plenty of timothy hay or similar and food supplements made specifically for guinea pigs, as they require a lot of vitamin C. Also, you should keep him away from anything containing sugar, as it can cause him a lot of troubles. This chapter involves several regular grooming tasks for you if you want your furry friend to be nice and clean. Clipping his nails once a month and regular brushing are the most important parts of guinea pig grooming. If you’re the happy owner of a long haired guinea pig, take into account the fact that he will need to be brushed a lot more often than short haired types in order to keep his hair coat in good condition. 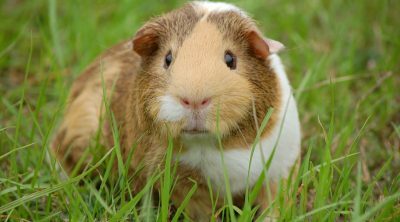 These are the basics of guinea pig care, the least you can do to keep your adorable furry friend happy and in good health. Make caring for your guinea pig a habit and there shouldn’t be any troubles with him.